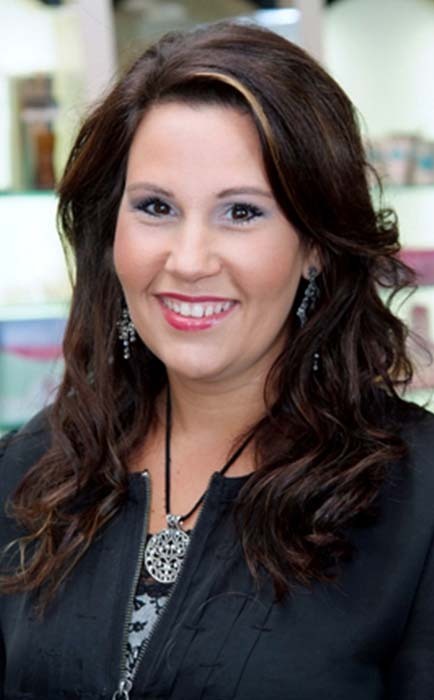 Ashley graduated from Josef’s School of Hair Design in Fargo, North Dakota in 1998. She specialized in advanced haircutting and styling while working at Rocco Altobelli and grew this body of knowledge exponentially after incorporating Vidal Sassoon’s haircutting methodologies. Ashley’s skills were put to the real test in an internationally-judged hair show competition where she placed in the top 10 of one event and in the top 15 of another. Ashley joined Simonson’s Salon & Spa in 2010 and expanded her cutting and styling repertoire to include color enhancement and texture services. A few short months later, she seized the opportunity to share with her peers and grow her own career by joining Simonson’s Education team in the capacity of a Haircutting Educator. Her goal is to guide every stylist under her mentorship to appreciably further their haircutting knowledge and abilities. Ashley believes that the occasion to enrich our expertise exists in every head of hair – regardless of how much experience you may have.